At deBebians, we think that it is important to honor your college or university grads with something meaningful that reflects their accomplishments and reflects the years of hard work that they have put into their education. There are no accessories that exude accomplishment quite like gold signet rings, which is why they are the best college graduation gift ideas. 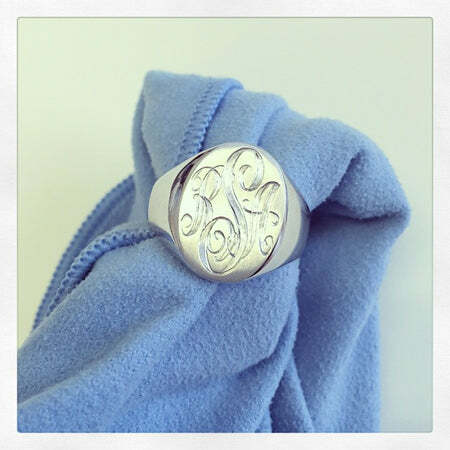 Signet rings gold can be customized with an engraving of up to three initials in order to create a piece of jewelry unique to the wearer. Both men and women can wear signet rings gold and on any finger that they wish. Whereas some men or women prefer to wear one of these gold signet rings on their ring fingers, others may choose to wear them on their pinkies. Do you or anyone you know wear one of these rings? Let us know which of these signet rings gold is your favorite in the comments section of this post.